Yoga in Cambodia is a popular activity for those who travel to the country to find inner peace and rebalance their chakra. The Kingdom of Wonder truly has a spiritual energy which can positively feed one’s soul. Young asian woman meditates while practicing yoga to explore inner peace. It also helps that there are plenty of yoga classes, meditation retreats, reiki sessions, and other spiritually nourishing activities offered by the wellness centers in the capital city. 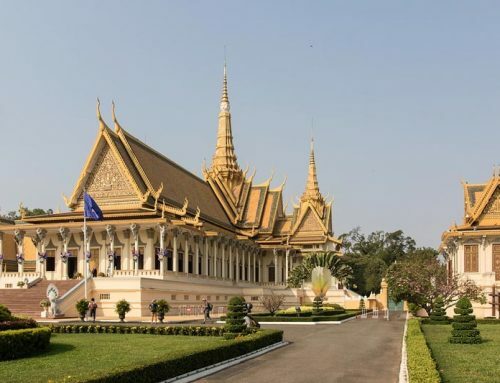 Not to mention the availability of Phnom Penh vegetarian restaurants serving nourishing dishes which help to cleanse and purify one’s body and soul. 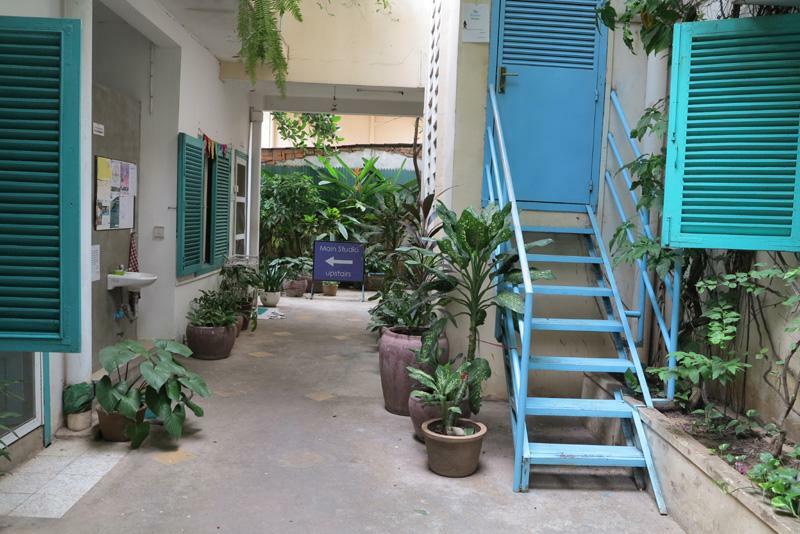 YK Art House is ideally situated within walking distance from several studios which offer yoga classes in Phnom Penh. Here are some of your best options when you want to practice your poses. 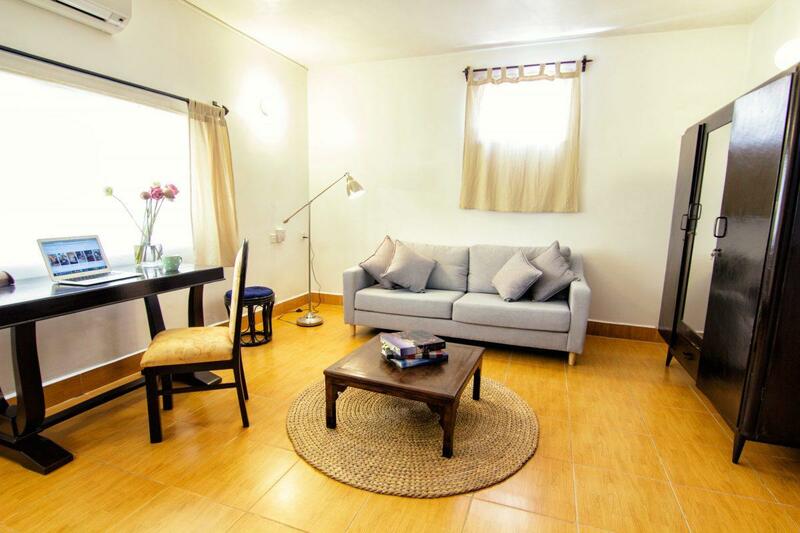 The Nataraj Studio is less than a 15-minute walk or a 5-minute bike ride from YK Art House. 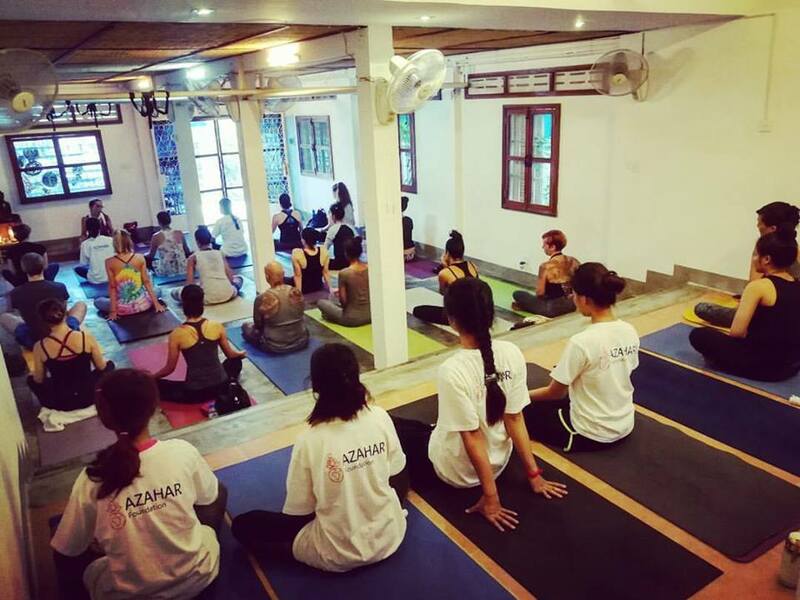 It is a project of Krama Yoga NGO, a non-profit organization which aims to transform and empower children and young adults who have been affected by poverty, abuse, and addictions. The NGO offers yoga and life skills to the kids and adolescents and several of the participants in their program are now internationally certified yoga instructors. Nataraj Studio was established in 2004 and they claim to be the longest running yoga studio in Phnom Penh. They offer Ashtanga, Sivananda, Pre-natal, Community, and Restorative yoga, as well as classes on yoga basics, core, focus, and flow. There are also mindfulness meditation and private yoga classes. These are taught by certified instructors. They also offer retreats, workshops, and master classes with internationally renowned teachers. You can purchase a one-time pass or one-week unlimited pass if you are a new student. But if you are committed to going to at least 10 sessions, you can get passes good for 10 or 20 classes. 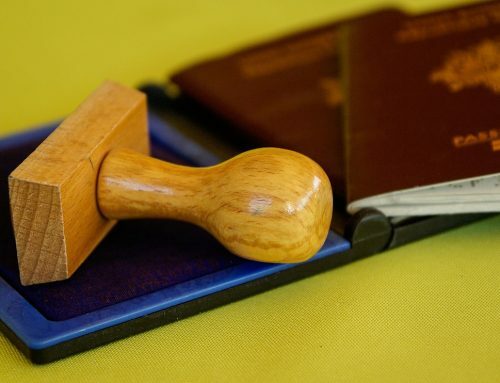 However, take note that these have expiration dates which can be extended for an additional fee. Private classes have different rates depending on the number of sessions and participants. The studio provides mats and equipment as well as filtered water. Proceeds of Nataraj Studio go towards supporting the overhead costs and programs of Krama Yoga NGO so you are doing your own share to help when you pay for a class. If you’re looking for a yoga studio that is just around a 2-minute walk from YK Art House, go to the AZAHAR Centre for Peace, Yoga & Arts. 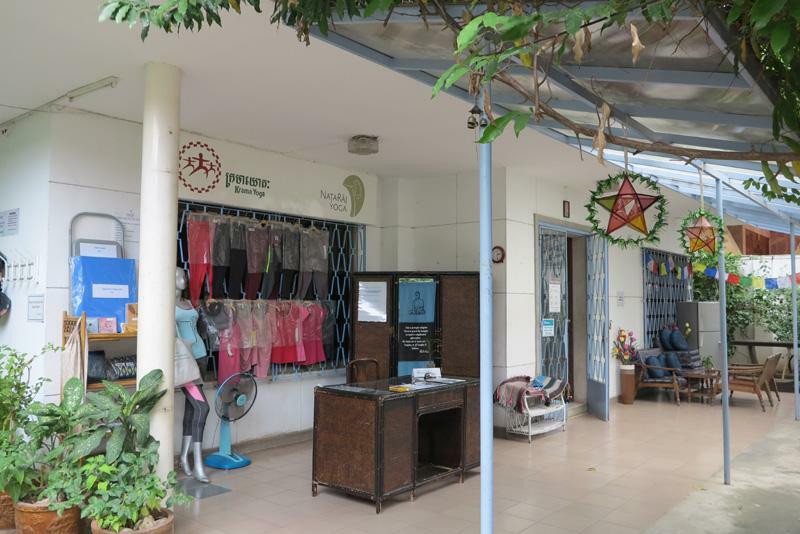 This Yoga Phnom Penh studio is operated by the AZAHAR non-profit organization. All proceeds from the offered classes go to the NGO’s community projects and work involving vulnerable and underprivileged groups. They provide Vinyasa Flow classes for Beginner or Mixed Levels on all days of the week. Drop-ins pay $5 (Khmer rate) or $7 (foreigner rate), but if you plan to attend several sessions then purchase 5 or 10 classes for a discounted rate. They also offer a monthly membership which lets you attend an unlimited number of classes. All prices are inclusive of yoga mats and props, drinking water, small towels, and shower use. The Yoga Satya studio is only a walking distance from our hotel. If you take Street 322 it takes about 10 minutes, while taking Street 334 takes about 11 minutes. A tuk-tuk can get you there in less than 5 minutes. This Phnom Penh yoga studio is headed by Delphine Vann who is a certified Iyengar yoga teacher who has been doing yoga since she was in her twenties. Yoga Satya offers Iyengar yoga classes for varying levels. If you are new to the practice or are just beginning to learn the basics, then it’s best to attend the Beginner class. For the more seasoned yogis, there are Level 1, Level 2, and Mixed Level classes. Private classes are also provided for individuals, groups, or those who need help with specific health issues. The little yet homey Yoga Rasa studio specializes in Iyengar yoga classes in Phnom Penh. The main instructor is Tala Rubia Ana, and she considers her yoga studio as a place where people can relax, get rid of stress and lethargy, and develop stronger immune systems and mental health. You can join a starter course for Hatha yoga using the Iyengar method. There is also a Beginners, Level 1, and Mixed Level class, as well as classes focusing on back care. A tuk-tuk ride takes only 10 minutes to get to this studio. But if you feel like having a good warm up before stretching it out on a mat then go for a 2.7-kilometer walk to get there. Just make sure to leave YK Art House at least one hour before classes start so you have enough time for the 35- to 40-minute walk as well as to get your bearings before doing those poses. The Blue Indigo is actually not in Phnom Penh but in Siem Reap. 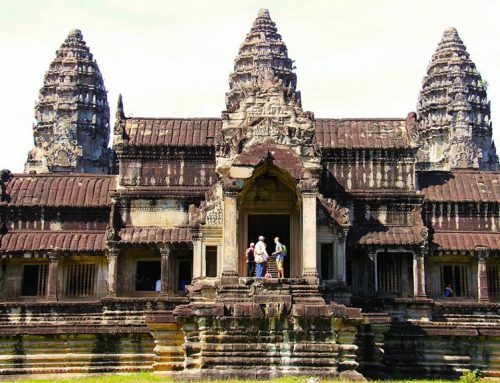 We included this in our list because we know a trip to Cambodia won’t be complete without visiting Siem Reap and Angkor Wat. And while you’re off discovering the temples, there is no excuse that you can’t continue your yoga Cambodia program, especially when you have so many amazing classes to choose from at the Blue Indigo yoga center. The property has well-ventilated and spacious yoga shalas, a shaded garden restaurant, massage and meditation rooms, and wooden cottages for in-house guest accommodation. It’s the perfect spot in Siem Reap to get some much-needed R&R after your trip from Phnom Penh or to have a break from all the temple hopping. The beautiful Blue Indigo retreat is a Yoga Alliance school in Siem Reap. They offer daily yoga classes and meditation lectures and have Teacher Training Courses too. Choose from Pranayama, Hatha, Vinyasa, Flying, or Yin/Restorative yoga. If you’re visiting on a weekend, there is also a Happyness Workshop in the mornings. They welcome walk-ins and don’t require you to make a booking if you want to join a class. Take advantage of their special offer for a discounted price for 5 classes if you are staying in Siem Reap for a couple of days. Have only one day but you definitely want to give all those classes a try? Sign up for their one-day package deal. The fee covers 5 yoga classes, meditation, an art session, breakfast, lunch, tea, and water. You’ll leave Siem Reap feeling a lot more refreshed and relaxed as you head on back to your Phnom Penh headquarters at YK Art House. If you prefer to go on a longer yoga retreat, they also offer packages from 3 days up to a month. Located on the popular Street 240, Enso is a conveniently located space to find healing and inner peace in the city center of Phnom Penh. Getting there from the YK Art House takes about a 20-minute walk or a 5 to 6-minute drive. The vision of this healing center is “To create a safe space held with love and compassion; to touch, inspire and share knowledge through the art of healing.” Aside from offering yoga classes in Phnom Penh, they also provide other wellness services, such as back care and pain management, dynamic meditation, and Shiatsu therapy. They have well-trained and experienced instructors and therapists who specialize in their own fields. Their space is located in the building of 240 Phnom Penh, a 7-level residential property which offers amenities for a full and balanced lifestyle. Enso is able to use certain amenities of the building which allow them to provide a more varied selection of yoga classes. You can end your day on the right energy level with a Sunset Yoga class on the rooftop. Or, if you need a gentler workout, join the Water Yoga sessions in the pool. There is also Foundation Yoga, Iyengar Yoga for Office Workers, Midweek Relaxation, and Sound Immersion sessions. Rates depend on the type of session you sign up for. Just choose from a donation, regular, or private session. Before or after your visit to Enso for some wellness therapy, you can also get a dose of retail therapy at one of the many boutiques and shops along Street 240. Why is a CrossFit box included in our list for yoga classes in Phnom Penh? Well, variety is one reason. Maybe you need a break from the mat a few times a week and are looking for a different kind of workout to add to your fitness regime? There is no need to feel guilty about not doing your yoga practice on some days. In fact, many fitness experts recommend adding a different type of exercise to your routine to avoid boredom and to complement your current workout. And, as it so happens, CrossFit and yoga are the perfect pair. These disciplines are very different yet they complement each other. The weightlifting you do in CrossFit actually benefits from the flexibility you achieve through yoga, and vice versa. It’s no wonder why many fitness enthusiasts are mixing these two types of workouts. If you’re interested to give CrossFit a try, the CrossFit YiQi gym is the place to go in Phnom Penh. Just like in most yoga classes, first-timers are welcome and you can even join a trial class for free. Take note that their classes require reservations, so make sure to check the schedules and book ahead. CrossFit YiQi offers monthly, 3 months, 6 months, or yearly memberships, as well as drop-in and 10-Pass or PunchCard options. For those who might not be ready or prefer not to do heavy strength training or life weights, a Bootcamp session is also available. Haven’t lifted a barbell in your entire life? Don’t worry. The professional coaches make sure to get to know you and your training history before starting any type of work out. Plus, the gym proudly advertises their strong spirit of fellowship among their community, so you know you’re in a friendly crowd of fellow fitness enthusiasts. Want to take private yoga classes from a teacher who is also a professional dancer and aerial performer? That will certainly be a unique yoga Cambodia experience, right? Well, you’re in luck! Mel Nutter is currently training and performing in Phnom Penh so you can book a class with her. Mel has been practising yoga since 2005. Her teaching focuses on increasing range of motion and mobility to support general well-being and health. She offers classes to those from different fitness backgrounds and across all ages. You can even book her for children’s yoga for small groups. Yoga and dancing are just two of her passions. Mel is a fitness enthusiast who does a variety of workouts to build strength, flexibility, balance, body awareness, and alignment, and to lower risk of injury. Acroyoga, barre, foam rolling, handstands, high-intensity interval training (HIIT) – she’s done it all! The Angkor Zen Retreat Center is another ideal destination for extending your yoga in Cambodia practice beyond the studios of Phnom Penh. Located in Siem Reap near the Angkor temples, their gardens are perfect for meditating and for deepening your poses and breathing. Their retreat program is quite flexible but requires 3 nights stay minimum. The package includes pick-up upon your arrival, accommodation, 4 yoga classes (mats are provided) and 1 meditation session daily, free use of amenities, and meals (breakfast, afternoon tea, and dinner). Participants can take a dip in the saltwater pool or explore the temples and villages during their free time if they want. If you just have time to drop by for one yoga class, Angkor Zen Gardens will be happy to welcome you to join the regular classes as long as there is still enough room. In case it’s fully booked, you can still enjoy meditating surrounded by the lush and well-maintained tropical zen gardens. After your practice, rejuvenate your body with fresh and tasty vegetarian dishes at the dining room. Want to relax more? Book a traditional Khmer massage, an aromatherapy session, or a manicure and pedicure at the spa. Just make sure to contact the resort center in advance to make your booking, including for private yoga classes. The instructors at Angkor Zen Retreat Center are usually non-locals who have at least 3 years of teaching experience and are members of the International Yoga Registry. They mostly specialize in Ashtanga and Vinyasa. There is a complete schedule of their classes on their website. You can also get in touch with them directly for more information. They have classes from mornings until the evenings every day of the week. Here are the details of their class schedules. Note: Each schedule is for a specific level so please check here for the specific time for your desired class. The studio has varying class schedules so it’s better to check their Facebook page or get in touch with them directly for their current yoga class schedules. Their meditation lecture and yoga classes are offered on a regular schedule from Monday to Sunday. Check out the details of their daily class schedule here. The Happyness Workshop and a Sri Sri Program happen from Thursday to Sunday. Their teaching training courses and other workshops and special classes can happen on different days each month. Just visit the Blue Indigo Yoga website for more details. Enso offers different yoga Cambodia sessions on various days of the week. Click here to see their posted schedule on their website or visit their Facebook page for their monthly schedule. Their CrossFit and Bootcamp classes are available from Monday to Friday at different times. Saturday is for CrossFit Open Gym sessions. Each schedule and class is handled by a different coach. See their detailed training schedule on this page. You can contact Mel at [email protected] to book a private yoga class or through her social media. Our modern boutique hotel is an ideal base if you want to go on a yoga retreat holiday. You can rest and replenish your energy in our spacious accommodations which are filled with plenty of natural light. 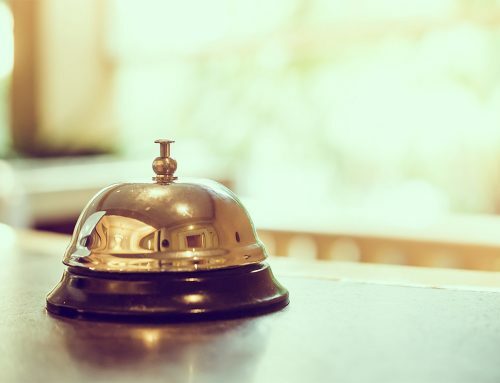 Our hotel environment provides the quiet, relaxation, and rejuvenation you need so you are ready for your journey towards enlightenment and wellness every day. And after a healthy meal at our in-house vegetarian restaurant, you can enjoy a leisurely walk or an enjoyable bike ride to one of the nearby yoga studios. We are located in the leafy neighborhood of Tonle Bassac, an area which has retained the old city charm (map). Trees and old houses line the small alleys so your walks or bike rides to your yoga classes can be a great time to see and experience the neighborhood. Get in touch with us directly to book a private double room or a self-catering apartment. 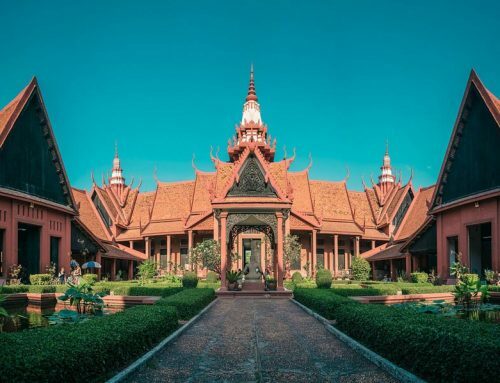 The availability of quality yoga studios and wellness centers and the inherent spiritual richness of Cambodia have made the Kingdom a popular spot for those who seek balance, rejuvenation, and inner peace. Yoga retreats in Cambodia are some of the best ways to go on a journey which leads towards overall wellness while getting in touch with the local beauty and charm. Our in-house travel experts here at YK Art House will gladly assist you in planning your yoga retreats Cambodia experience. Whether it’s renting a bicycle to get around or booking yoga Cambodia classes, we are ready to help. Book a Room at YK Art House! Book one of our rooms today and make the best out of your stay in Phnom Penh!